How many times have we crossed that threshold..
How many people have we brought to visit its eating hall..
We Malaysians are a lucky lot. Here in our multiracial community, we have exposure to all sorts of cuisine. Chinese, Indian, Malay.. you name it, we have it. Some of these ethnic cooking styles might be more bland or less spicy than others, but I have to say that all are equally interesting in their own way. One of the great south Indian cuisines we have the privilege of eating on a daily basis should we chose is, of course, Chettinad — or more correctly, the cuisine of the Nattukotai Chettiar community of Tamil Nadu. 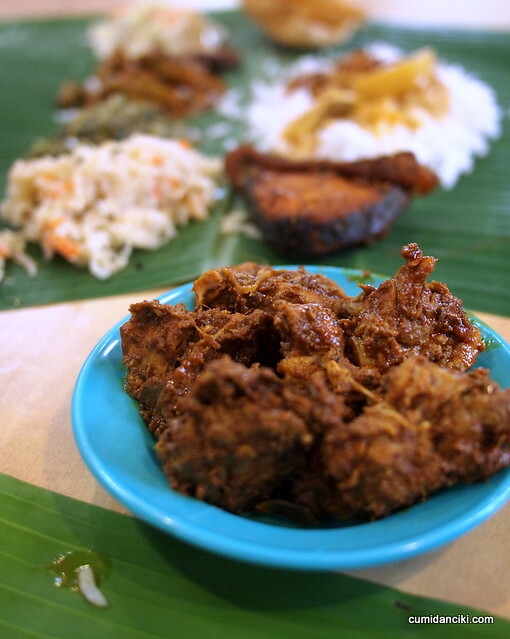 Speak of south Indian non-vegetarian food and at least 9 out of 10 people are likely to nod their heads in understanding and say, Spicy Dry Mutton Curry or, Spicy chicken curry, Banana leaf and curry sauces. As far as popular tastes go, most people equate Southern Indian curries with loads if chilies .. “spicy” being the most common adjective used for it. A lot of our visitor friends whom we take out for banana leaf meal, cringe when they look at the bright red sauces and go.. ooh! too spicy! But despite its overwhelming reputation for being a cathartic meal, it is a mistake to think of it as being simply “spicy”, or just too “chili hot”. You see, why I say this is because, once we have settled down to a meal, many of our visiting friends actually exclaim that this meal is not so hot after all! 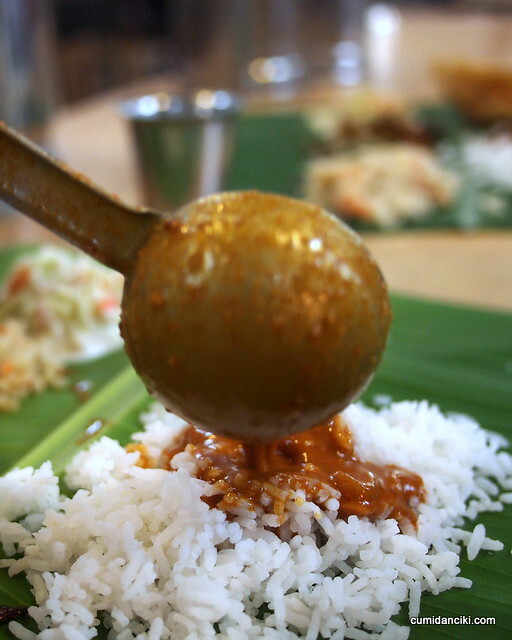 However, what they find is that the Chettiar meal is undoubtedly distinctive because of the use of spices. While it is not overtly “spicy” or hot as in the way they thought, the use of individual spices so that the curries, the dry meats, and the vegetables all taste different from one another is really what makes the food remarkable! Yes, spicy is the word – but more from spices than heat. 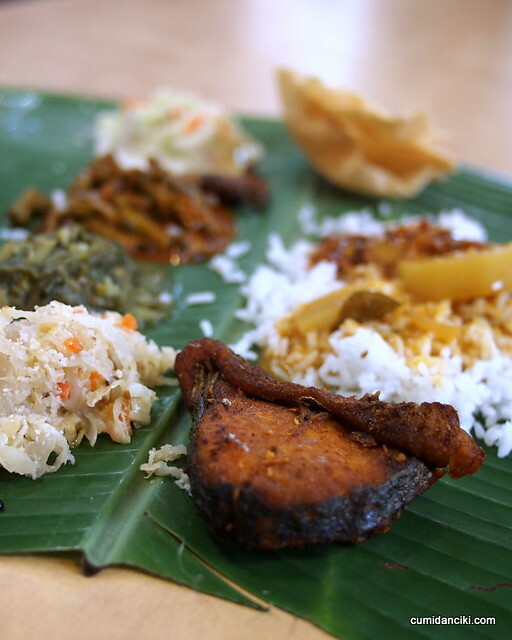 And it is for this precise reason that I really love Vishal’s banana leaf. Every single side dish has its own distinctive aroma and every single curry a personality of its own. At Vishal, there is a system. Please sit along the length of the table on one side, and the servers serve along the other side, kind of like mess hall. Of course you can still be rebellious and sit facing your partner, but beware the Dhal gets dumped on your head. Best Chettinad banana leaf ever! Fried fish, especially the “skinny fish” called ikan bulus, dry mutton and chicken rendang curries are a must! Place is so crowded, be careful whom you might elbow! If you love rice, you will definitely love the Chettinad biryanis. They are a class act- possibly due to the aromas that the rice has absorbed over the time spent in its preparation i.e. the Chettinad style of cooking. I like the Mutton biryani because this has the most flavour and kick to it. What is rice without a little gaminess to it? And the prices, oh, you’ll love that too! Cheap and good is the only to describe the food at Vishal. The other must have at Vishal is not a dish, but rather a soup in a cup. The Rasam. 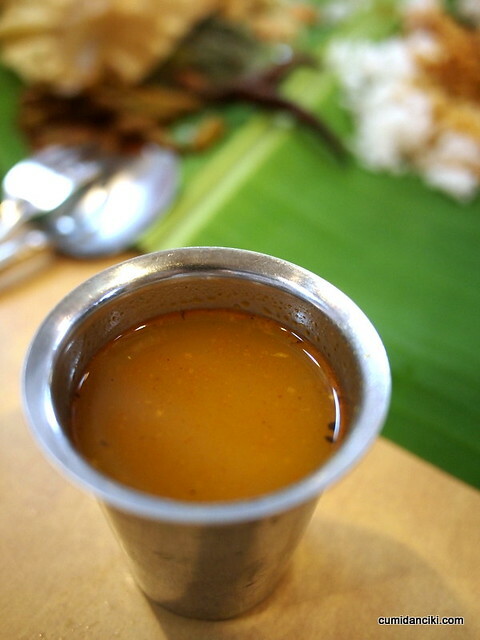 In Tamil,’Rasam’ means Juice, specifically juiced prepared with Tamarind/Tomato juice and added spices.. this is a great appetite stimulant because it is sour and once you have had too much to eat, just knock back the rasam and you will be ready to start all over! 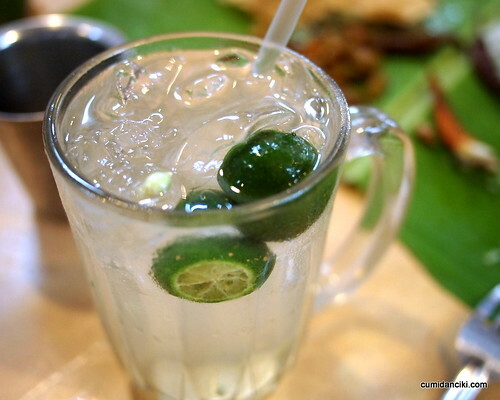 OK maybe not all over again but I think you catch my drift – the sourness complements the heavy meal of curries, aids digestion and helps you cut the grease. Simply marvelous! Finally wash that all down with a mango lassi or a lime juice and call it a day! Most have their favourite Curry House and would debate which is better than the other. For me, THIS IS DA BOMB ! I know you like it Bryan, saw you tweet your location that day. Yea, the food is great, most flavourful! Ooh, I remember when Queen DSLR first brought me to Vishal… it was love at first, er, second, no… was it our third date? Anyway it was yonks ago. But such sweet memories. Savoury ones too. LOL, yup yup. The Queen, AWOL brought Jon here and he in turn brought me, a while back with Kat! Lovely banana leaf. I like it coz it’s the most flavorsome compared to Kanna or even Raju’s. 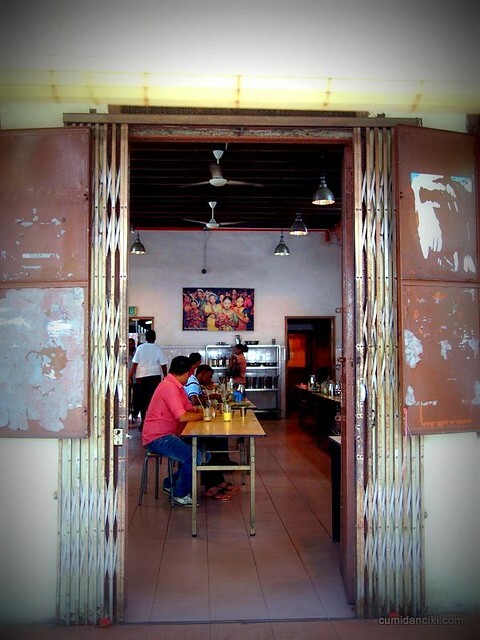 I love dhal… I bet I would enjoy this place! I’m fascinated by the cafeteria style service. Sounds like a fun lunch spot. It is Leslie, and again the have Vegetarian so a great place for you! LOL, so when you come back, stuff some more! Is this the place we came? NAIS NAIS!!!! yes darling Kat , it is! hmmm, why hasnt the queen brought ME here yet i wonder? i lurve chettinad, but only if they have deep fried bitter gourd. gourd ah? Wow, I’m super flattered. I appeared in 3 of your posts in the last 7-days. And i look super skinny (and abit lansi/constipated) in the pic above too. Hahaha. Vishal’s is the GOLD standard, hands down!! And haha, I committed the crime of sitting opposite my dining companion at the single file table… didn’t get the dhal dump threat but got told off squarely and nicely!! That looks like a very cosy and crowded place – must be good! We’re lucky when it comes to food! Nice photos! I regret reading this at midnight before going to bed. If I’m still craving this by lunch tomorrow, looks like I’ll have to make the trip. You are killing me already 😀 I miss Malaysian foods!!! You Malaysians really eat too spicy for my taste, but I really miss so many foods from Malaysia. 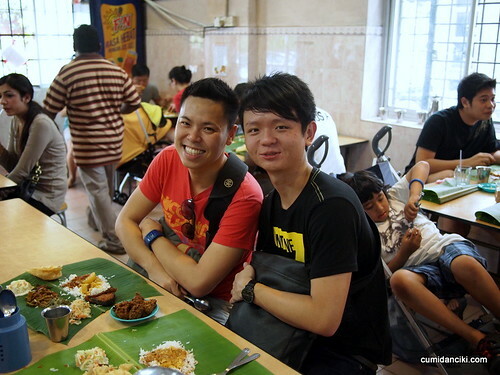 Malaysia is food paradise and for me only Taiwan has an equally rich and colorful cuisine. 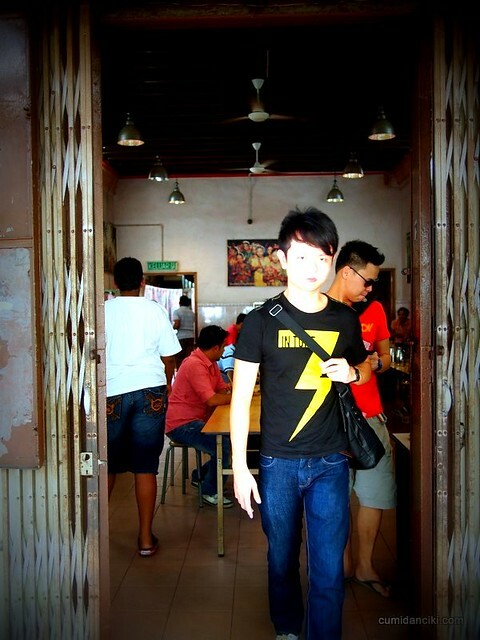 I especially miss the food in Penang, where I used to live for a while. The Indian food is always cheap and yummy and people are so friendly. 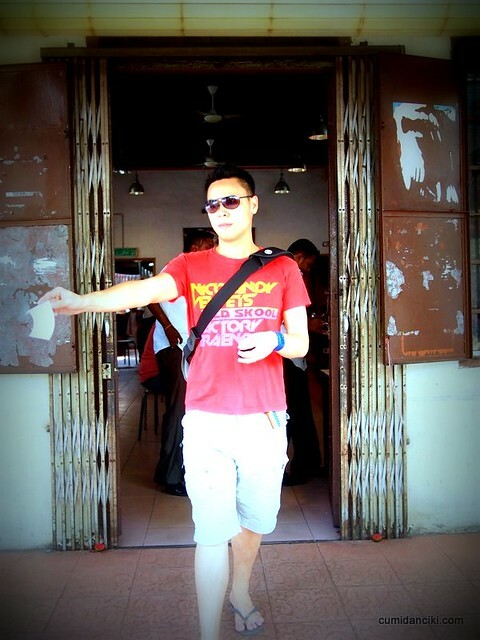 I miss Malaysia. And your photos are awesome. Thumbs up.